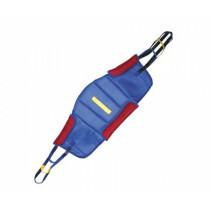 Patient Lift Slings are patient transfer slings designed to be used in home or clinical settings. When transferring bariatric patients it is important to have a comfortable lift sling. 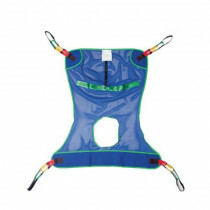 The stitching of the lift sling is designed to be sturdy enough to handle the weight of the patient, while being soft enough for patient comfort. 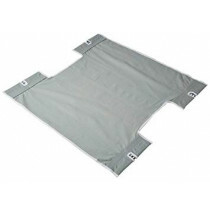 Many of our lift slings are made of a material that resists disintegration from laundering. 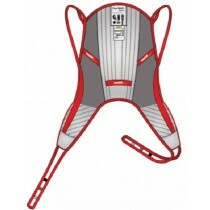 The lift slings have simple, easy-to-use loops that work with several types of lifts. 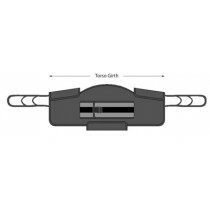 Many of our lift slings are available in two sizes to better accommodate a patient's unique size. 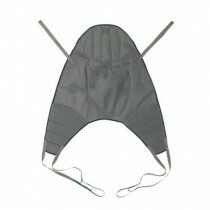 Patient slings come in Mesh, nylon or other materials. Choose from a U-sling style, a full-body sling or a two piece. Some even come with commode cut-outs. Browse our selection below to find a good sling to meet your specific needs. Here is a great article on choosing the proper sling. Like any skill, the more you practice the better you get at it. Practice transfers often so that you become proficient at a task before you try to lift a resident. Practice lifts from bed to wheelchair or chair, from chair to bed, and floor to bed. Read and understand the Owner Operator’s Manual. Safety is most important when performing lifts and that includes your safety. Always use good body mechanics, keep your center of gravity low and use your leg muscles, separate your legs to establish a broad base of support, keep your spine in natural alignment and never twist while lifting. Always inspect the resident’s sling before using it. Check for wear, tears and loose stitching. Bleached, torn, cut, frayed or broken slings are unsafe and should not be used. Document everything, the type of sling and its condition, the status of the resident before and after the move, the preferred transfer method, resident compliance and the length of time out of bed. Invacare Lifts are designed to preserve the dignity of your residents while reducing caregiver injuries. 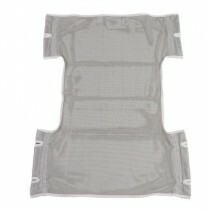 They're reliable, safe, easy to use and offer maximum comfort to the resident. Invacare Lifts and Slings, the best in the industry. Practice transfers often so that you become proficient at the task before you try to lift a resident. Practice lifts from bed to wheelchair or chair, from chair to bed and floor to bed. Read and understand the Owner Operator’s Manual. Safety is most important when performing lifts and that includes your safety. Always use good body mechanics. Keep your center of gravity low and use your leg muscles. Separate your legs to establish a broad base of support. Keep your spine in natural alignment and never twist while lifting. Always inspect the resident’s sling before using it. Check for wear, tears and loose stitching. Bleached, torn, cut, frayed or broken slings are unsafe and should not be used. Before performing the lift, engage the brake on the bed and then lower the rail on the side that will be receiving the lift and make sure that the bed is in a safe working height. Move the resident and wheelchair as close to the bed as possible. Engage the wheel locks on the wheelchair and move the front riggings out of the way. Position the sling on the resident. One caregiver should stand in front of the wheelchair and the other should stand in back. Lean the resident forward in the chair letting the caregiver in front support the resident’s weight if needed. 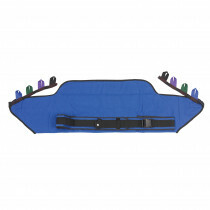 Slide the sling behind the resident with the smooth surface against the resident’s body and the grab handles outside. The sling should be positioned between the top of the resident’s head and the base of the spine. Make sure it is straight and parallel to the resident’s shoulders. Push the bottom of the sling to the seat. 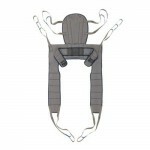 Position the straps as far forward in the seat as possible. Lean the resident back in the wheelchair. Lift one of the resident’s legs. Reach under and pull the sling out until it’s just behind the resident’s knee about 3 inches. Repeat the procedure for the other leg. Position the lift so it’s over the wheelchair. Make sure the lift’s legs are in the maximum open position for stability. Lock the lift’s rear casters to prevent it from moving while you attach the sling. Turn the control valve on the hydraulic pump counterclockwise to lower the boom. 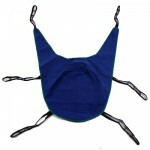 Position the swivel bar so that it is parallel with the resident’s shoulders, then attach the sling. 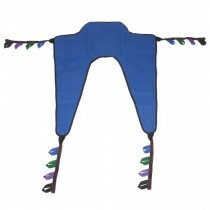 Attach the straps that are by the resident’s legs to the front of the swivel bar. You can use any one of three techniques depending on the situation. You can attach them so that the straps go under both the resident’s legs. This bundling technique creates a very small opening for petite residents. You can attach them so they cross between the resident’s legs. This technique draws the resident’s legs together, or you can attach them so they go under the resident’s legs directly to the swivel bar. This technique separates the resident’s legs for hygiene tasks. Just make sure that you use the same color straps for both legs. Next, attach the center straps to the swivel bar using a loop that leaves a little slack in the strap. Use the same color loop on both sides. Securely attach the top straps to the swivel bar. Again, make sure you use the same color straps for both sides. Make sure the resident’s arms are inside the sling. Unlock the rear casters. Turn the control valve clockwise then, give the unit a few pumps. 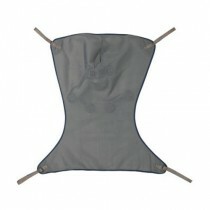 This will elevate the swivel bar slightly and provide a bit of tension to the sling. 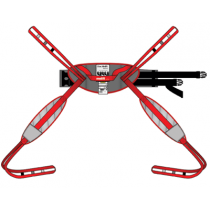 Double check to make sure that all of the attachment points of the sling are properly attached to the swivel bar. If they are not, lower the sling and fix them. Pump the unit several more times until the resident is just above the wheelchair. The other caregiver can use the sling handles to maneuver the resident. Move the lift towards the bed and position the resident over the middle of the bed. Then, rotate and position the resident properly above the bed. Lower the resident on the bed by turning the control valve counterclockwise. Once the resident’s full weight is on the bed, lock the lift’s rear casters and unhook the sling from the swivel bar. Unlock the rear casters, remove the lift, remove the sling.